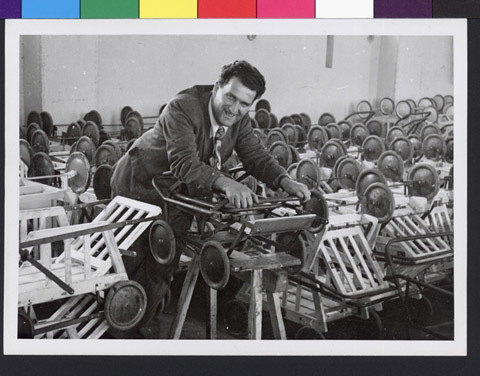 JDC - Archives : A man with the refugee made baby carriages. Search > Search Results > A man with the refugee made baby carriages. Title A man with the refugee made baby carriages. Description A man with the steady stream of baby carriages being turned out by Jewish DPs in a factory in the U.S. Zone of Germany.